We can create appealing, coherent images that sell your products and services to professional users. Working with your staff, we develop suitable copy platforms and advertising strategies for the major international trade magazines, to determine how the maximum benefit can be gained from the trade press and internet news sites, and how these elements might complement PR activities and existing marketing efforts. Let 20+ years of hands on-experience with every aspect of the professional audio and multimedia industries around the world work for your company. 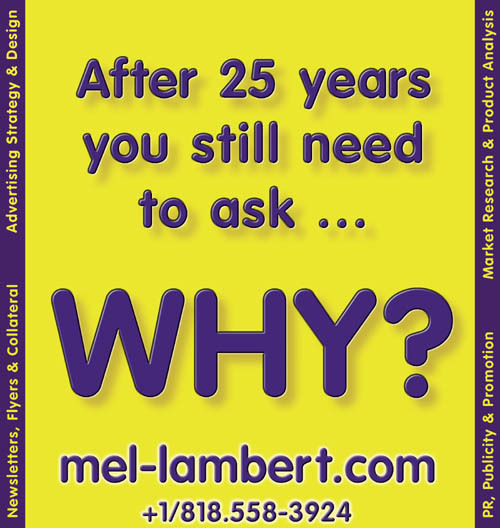 A third-ad for Media&Marketing for the 25th Anniversary edition of Mix," published in the July 2002 issue. A third-ad for Media&Marketing for the "AES New Products Guide" supplement published in the October 2002 issue of "Mix" and three editions of "The AES Daily." A full-page ad for Otari Corporation, developed in conjunction with Neilson-Clyne, while Mel Lambert served as Otari's International Marketing Director. A double-page ad for Otari Corporation, developed while Mel Lambert served as Otari's International Marketing Director. 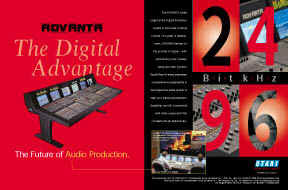 ADVANTA™ Series Large-Format Digital Production System was designed to offer outstanding Sonic Quality, Dynamic Recall/Reset of every parameter, comprehensive Assignability, Scalability, and full Connectivity with other components. 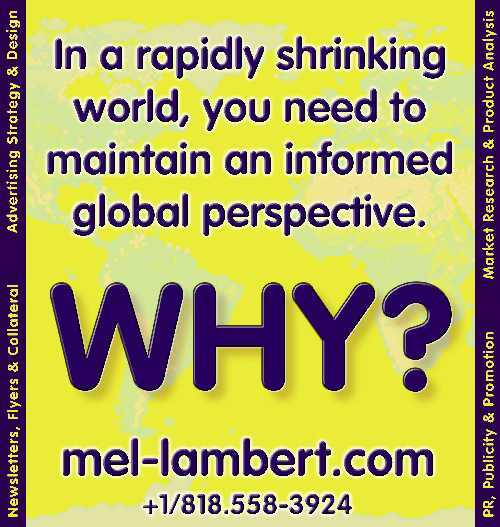 The ad was also offered in single-page formats. 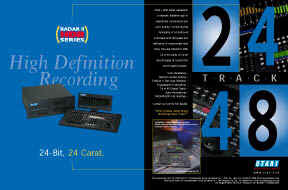 Another double-page ad for Otari Corporation, RADAR II™ HDR Series represented a dramatic breakthrough in operational convenience and sonic quality. Combining the familiarity of a traditional multitrack with the speed and efficiency of a removable hard drive, the new RADAR II offer 24 or 48 tracks of 24-bit record/replay. Again, the ad was also offered as a single-page. 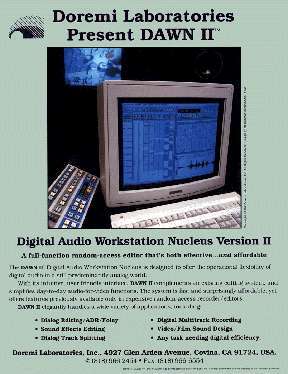 A full-page ad for Doremi Laboratories' DAWN II digital audio workstation ran in several industry trade magazines, and secured additional visibility for this high-tech company and its products. A simple yet elegant layout allowed the technical information to reach its targeted audience clearly and succinctly. For more information about the various types of Advertising Design services we can provide to your company or production facility, contact Media&Marketing via Email, or +1/818.558-3924.